Mostly in South India, Radish is used for only Sambar. It is used so frequently in sambar that there are people who would run away immediately as you mention Radish Sambar. 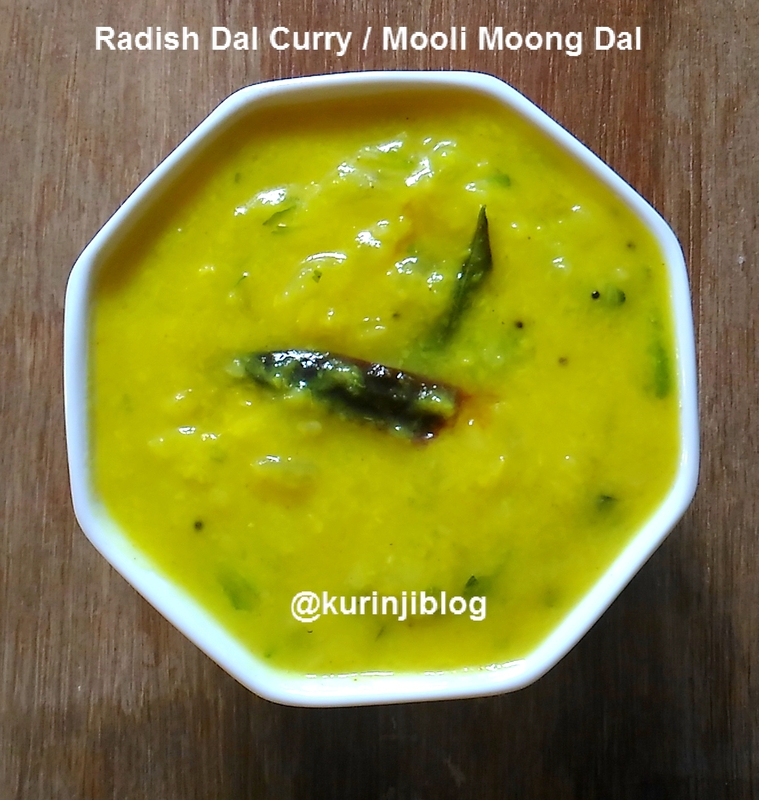 Radish Dal is really good alternative dish which can be prepared tastefully with Radish and Moong Dal. 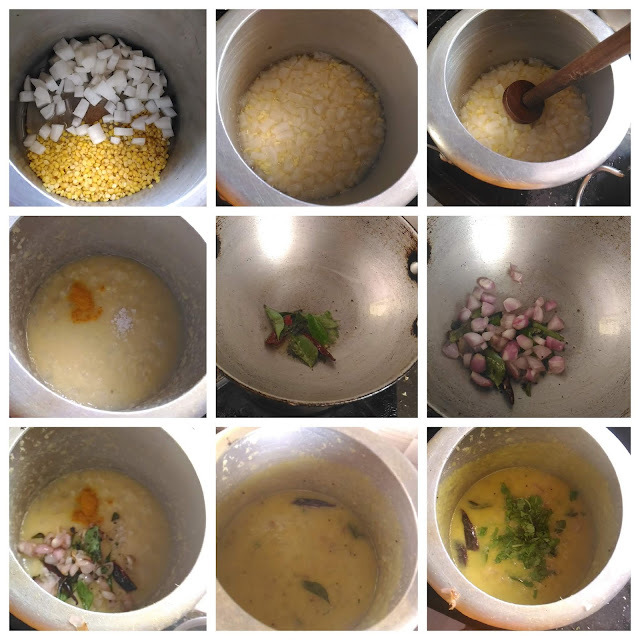 Click HERE to view more Dal Recipes. 1. Remove the head and tail of the radish. Then peel the skin of the radish. 2. Cut the radish into very small pieces. Keep it aside. 3. Wash the dal with water. 4. Pressure cook the dal, chopped radish (from 2) and 1 cup of water for 3-4 whistles in medium flame. 5. After pressure has gone, mash the dal with hand blender. 6. Add turmeric powder and salt, mix them well and bring to boil. 7. Meanwhile, heat the oil in a pan, add mustard seeds and wait for popping. 8. Add broken red chilli, curry leaves and fry for few seconds. 10. Add this onion mixture (from 9) with dal mixture (from 6). Mix them well. 11. Cook till the mixture becomes thick and switch off the flame. 12. Add coriander leaves and mix them well. Yummy and healthy dal is ready. Serve it with Hot Rice and Chapathi. 1. Adjust the radish level according to your taste. 2. Adjust the red chilli level according to your spice level.